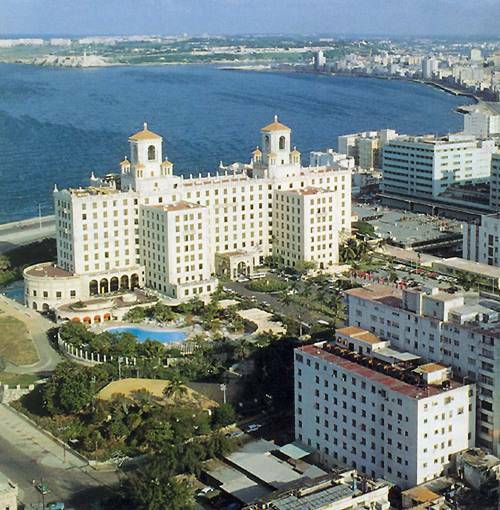 Radio Angulo - 27 November 2014 - Havana has huge chances of becoming one of the seven wonder cities of modern world, asserted Jean Paul de la Fuente, head of Value Development of the New 7 Wonder Foundation of Switzerland, who is on a visit to Cuba until Thursday. The final list in which Havana could appear will be released on December 7, so in a meeting with the press the executive asked for Cuban support for the campaign with that purpose, with the creation and expansion of vote mechanisms throughout Cuba. The process of voting on line to choose the seven wonder cities began in 2012 with over 1,200 nominations of approximately 220 countries, and on October 7, 2013, the list with the initial 300 aspirants was made public. Later, the number of cities was reduced to 28 and on October 7 the 14 finalists were presented. These cities are: Barcelona (Spain), Beirut (Lebanon), Chicago (the United States), Doha (Qatar), Durban (South Africa), Kuala Lumpur (Malaysia), La Paz (Bolivia), London (the United Kingdom), Mexico City (Mexico), Perth (Australia), Quito (Ecuador), Reykjavik (Island), Havana (Cuba) and Vigan (the Philippines). / Source: ACN.